An experienced teacher of the Chinese Mandarin Language, offering tuition classes. Formerly taught at the highly regarded International Montessori School of Beijing. Chinese culture and Chinese philosophy also covered if required. 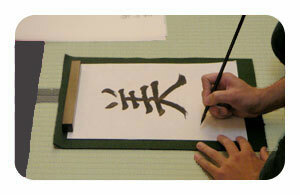 As an adjunct to the language lessons tuition will be given in Chinese Poetry, Philosophy, and Social Behaviour. Lessons will be of 0ne hour duration and will be held at a venue agreeable to both Tutor and student. Can accommodate weekends, daytime or evening. The duration of the course will be at the discretion of the student. For further information please go to the contact us page. The course fee is £25 per hour of tuition, This includes reading and writing skills. It will be held at a mutually agreeable time and location - for example, the lessons could be conducted at a quiet local coffee shop near to your work place or home; or at the work place itself. Prior to the commencement of the first lesson - there is a 20 minute discussion, free of charge, which is intended to establish your particular needs and to tailor the course to your individual requirements. We look forward to your enrolment with Royal Mandarin and hope that you can gain significant benefit from our tuition. Please contact us further to book the 20 minute discussion to establish your requirements or alternatively, if you require further information, please do not hesitate to email us further.